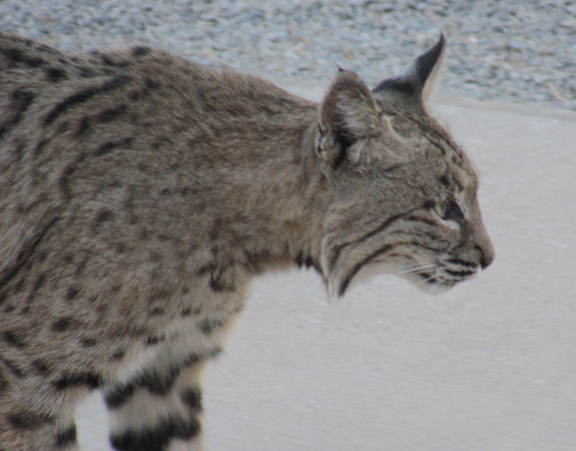 For the past several days, Todd has seen a couple of bobcats hanging around the yard. I think our dogs (Baily and Cooper) have seen them too, but they’ve kept their mouths shut! Late this afternoon, Todd got up-close and personal, and some beautiful shots! 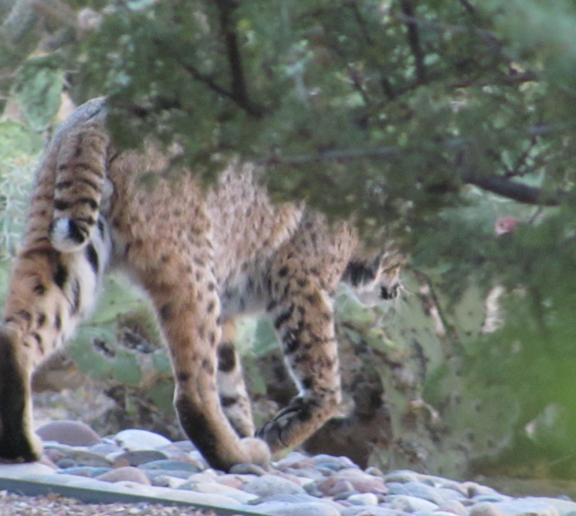 Amazingly, after seeing a big cat shadow approaching in the late afternoon sun, Todd ran in the house and retrieved the camera….just in time to capture this…. Totally relaxed and un-impressed, the big cat sauntered passed Todd. Gave him a brief glance and moved on. At this point, Todd ran in the house to announce the visitation. My mother-in-law, myself and Todd rushed to the back porch to see if he came around the other side of the house. We waited, camera in hand, to see if we could get any more shots! We didn’t see anything….Then, Todd spotted him/her. Peering at us from around the corner of the house. 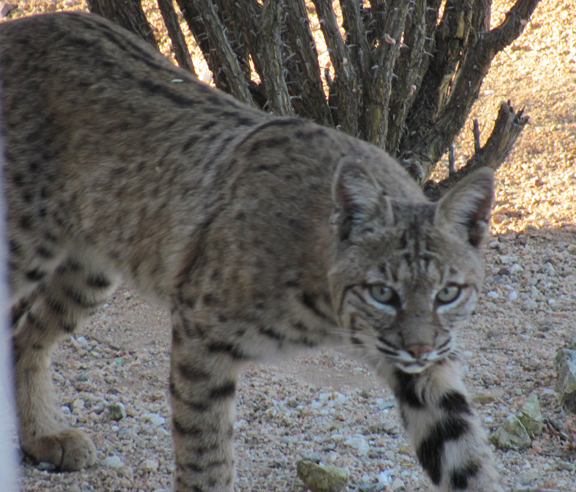 ” Here, kitty, kitty…..here, kitty kitty….” He stared at us. Beautiful pix! You have the greatest backyard!